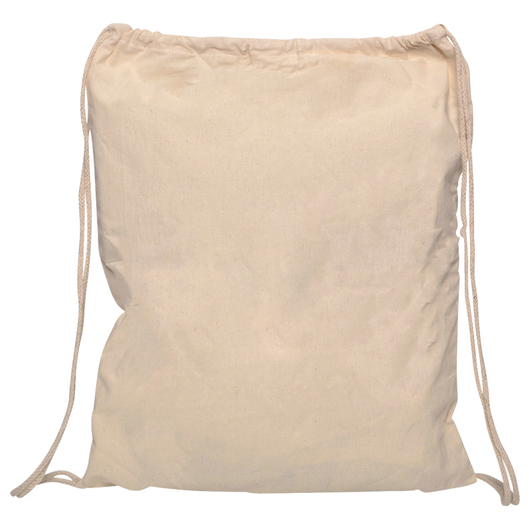 A calico backsack that's suited perfectly for transporting books and other small items. The perfect companion for students, these calico bags make it easy to carry books and other stationery items. 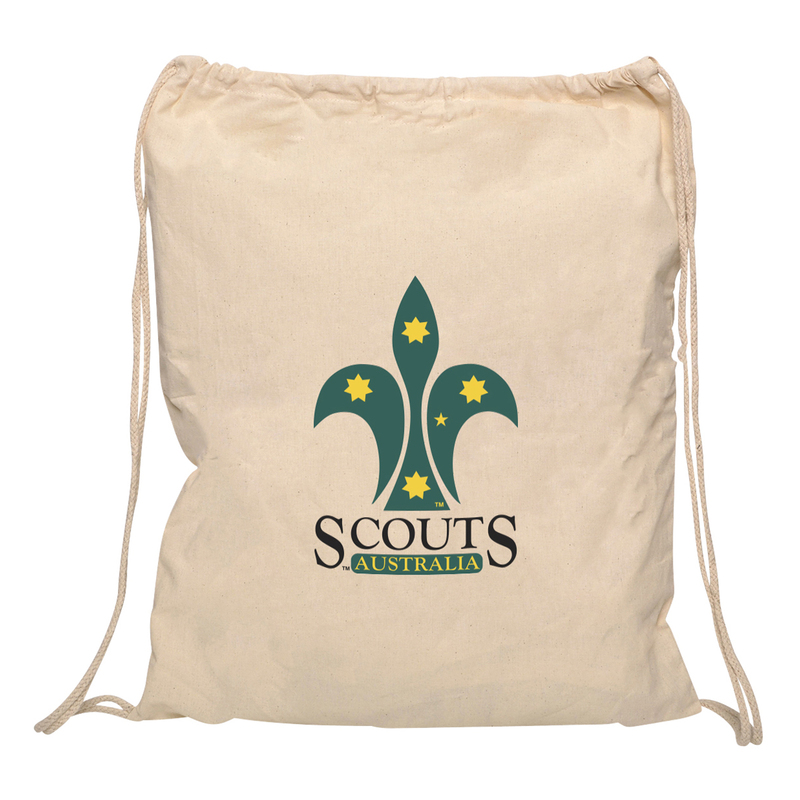 They come in a great natural off white colour and utilise two draw strings for easy use. 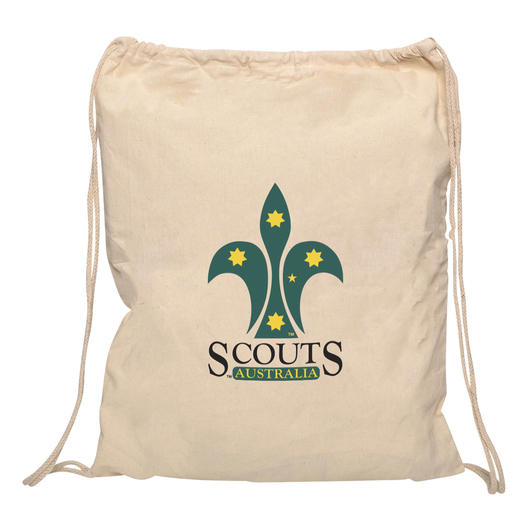 They can be produced fast and also host a large decoration area so your logo can easily be seen from a distance.